Paolo Benedetto Bellinzani: (b Ferrara, c1690; d Recanati, 25 Feb 1757). Italian composer. Ferrara is cited as his birthplace in the Serie cronologica de’ principi dell’Accademia de’ filarmonici di Bologna, but archival documents in Udine and Recanati suggest Mantua. On 15 April 1715, when in Verona, Bellinzani was appointed maestro di cappella of Udine Cathedral and on 29 April was granted the benefice of S Ermagora. He must by then have taken holy orders and been proficient in canto fermo (plainsong) and canto figurato (polyphonic vocal music), subjects in which he had to instruct the clergy. 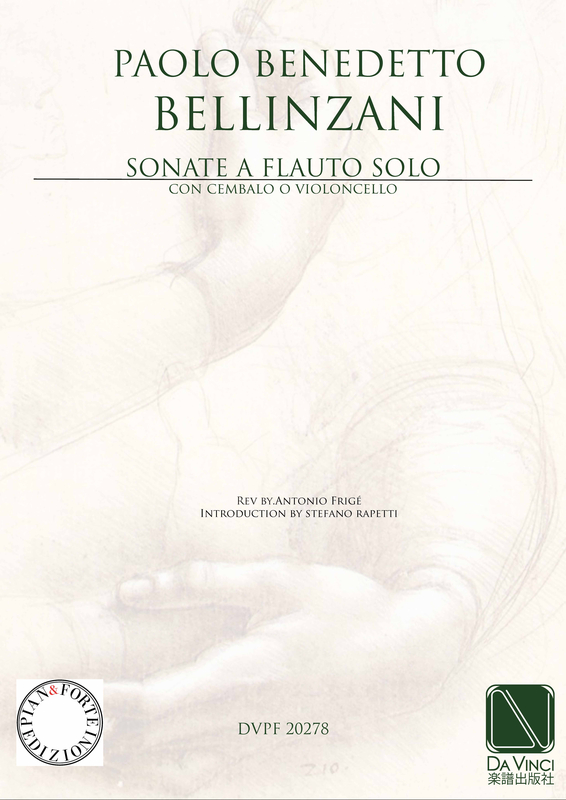 On 11 December 1717 Bellinzani asked to be relieved of Vespers until Christmas in order to compose church music – possibly his Salmi brevi, which came out in the following year. On his nomination as a censor in Ferrara, Bellinzani left Udine in 1718 and moved to Pergola. He resigned his post at Udine on 30 September 1721, stating his intention to go to Pesaro. From 1724 until 1727, and probably until 1730, he was maestro di cappella of Pesaro Cathedral. The years 1722 and 1723 are unaccounted for; claims that he was maestro di cappella of Ferrara Cathedral in 1722 seem unfounded. In 1727 he was admitted as a composer to the Accademia Filarmonica of Bologna. On 7 June 1730 he was appointed maestro di cappella of Urbino Cathedral, remaining there until 27 August 1734, when at Ferrara Cathedral he took up a similar post which also entailed the running of a music school attached to the seminary. On 19 May 1735 he relinquished his appointment, to go to Orvieto, where he probably remained for two years. In 1737 he succeeded Pietro Benedetti as maestro di cappella of Recanati Cathedral, a post he held until his death. In their day Bellinzani’s compositions enjoyed great popularity. He was an unusual combination of learned contrapuntist and sensitive melodist, generous with the use of ornamentation in his vocal lines. Not surprisingly, some have found his church music more secular than sacred in atmosphere. His instrumental music is heavily indebted to Corelli, as his op.3 sonatas, which close with a set of variations on the folia, clearly show.